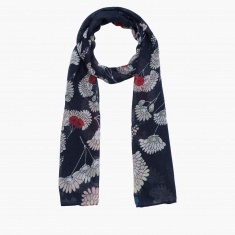 Charm is assured when you put on this alluring scarf with a floral print all over. 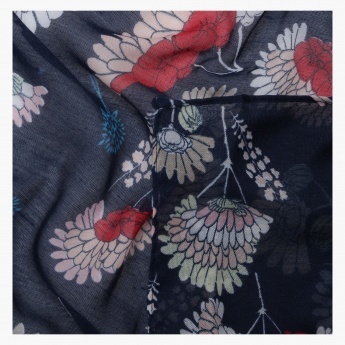 The trendy tones are pleasant to the sight while the soft breathable fabric is easy on the skin. Wear it with your tunic, and be ready to enjoy your day out.